If you are planning a camping trip for four people, you need to have the best 4-person tent, including those that we will briefly review in the rest of this post. Even if you are just two people, these tents will be perfect if you want to have a spacious room to easily move around when inside. Among all types of tent, the ones with a 4-person capacity seem to be a common choice. It is not too large and heavy, yet there is enough space for a small group. Nonetheless, this does not mean that you can choose just any product. They differ in terms of durability, ease of use, and performance, among other things. Read the rest of this short buying guide and for sure, it will be easier to come up with a decision you won’t regret! Let us dig in! Below, we will be listing down five of the products that deserve your attention. We will also have a quick look at some of the reasons why they deserve a spot on our list. If you are on the lookout for a user-friendly 4-person tent, this is one product that should be on your radar. It comes with a freestanding two-pole system, which will simplify the process of assembly. In the same way, when it is time to take down the tent, you do not need to exert a lot of effort. Worried about your comfort when camping? This tent has got you covered! There is a zippered mesh window. There is also a roof vent that is perfect for stargazing. These features are great because they will encourage air circulation to provide you with a good sleep when you are outdoors. The tent does not also fail to impress when it comes to weather protection. It has a polyester fly with protection from water. The manufacturer also claims that there are factory-sealed seams. Others, however, have complained about how water can still penetrate on the floor when there is a heavy downpour. Lastly, your stuff does not need to be scattered all over the place. It is a good thing that the tent comes with a smart gear storage system in its loft. This tent comes with a freestanding pole system for ease of assembly. It also has zippered windows and a stargazing roof for improved ventilation. There is also a gear storage loft. Since Coleman is a brand that is known for its outdoor products, you can be sure that this tent won’t disappoint. There have been some who noted that the durability can be better, but generally speaking, the overall quality is exceptional. Looking at its features, one of the most notable is the WeatherTec System, which has been exclusively developed by Coleman. You can sleep in peace even when it is raining outside. It has patented corner welds and the seams are also covered. If you want to sleep during the day, this tent has also got you covered. It has the exclusive Dark Room Technology, which is capable of blocking up to 90% of sunlight. This does not only keep it dark inside the tent, but it also regulates the temperature to keep the tent cool. Users of this tent have also expressed words of praises when it comes to the quick and effortless set up, which can be completed even by a single person. In just about a minute, your temporary shelter will be ready. Lastly, it comes with an expandable carrying bag that makes it easy to pack the tent and carry it with you all the way to the campsite. 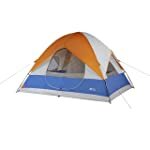 Made by a reputable brand, this tent has an exclusive technology to keep the water out and to keep the tent dark and cool. This is perfect for those who are looking for a budget-friendly 4-person tent that does not compromise the quality in any way. It is a dome-style tent with plenty of room in the middle for tall campers. There is also a curtain, which will easily divide the tent into two if you want to have privacy. In terms of construction, the stakes and the zippers could have been better. The tent itself, however, is great. There is a polyester rainfly that comes with a 600mm coating. The tub-style floor, on the other hand, is welded and is made using polyethylene. You do not have to worry about getting excessively hot when you are sleeping or inside the tent. This is because there are three mesh windows, providing a 360-degree airflow. The top part also has a mesh peak that can be covered when it is raining. These features ensure additional ventilation. To keep your stuff organized and secure, the tent comes with internal storage pockets as well as a gear loft. There is also an access point for an electric cord. 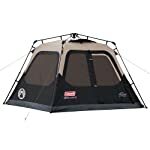 This tent comes with a large dual door, three windows, and a mesh peak, which will ensure additional ventilation. There is also a gear loft and storage pockets. Effortless assembly – this is what the manufacturer claims to be one of the best assets of this 4-person tent. It has a European design and comes with comprehensive instructions that make it user-friendly. The durability of the tent is also hard to match. The frame has what the manufacturer calls the nano-flex frame technology, making it flexible but sturdy. The fabric is polyester and laminated with polyurethane, making it 100% waterproof. The fabric is also heat-seamed, which will offer protection from the UV rays. Another thing that gives this a distinct appeal is the construction of the floor. It is made of an innovative material that allows it to resist fungus. It also has a bathtub-style construction, which will prevent water from getting in. You also do not need to worry about mosquitoes and bugs in the campsite. The tent comes with a micro mesh to provide protection to the users. In the same way, this mesh improves airflow to guarantee your comfort. As a bonus, the tent comes with a small lounge area, providing the perfect place to relax. It has a roof and a floor as well. 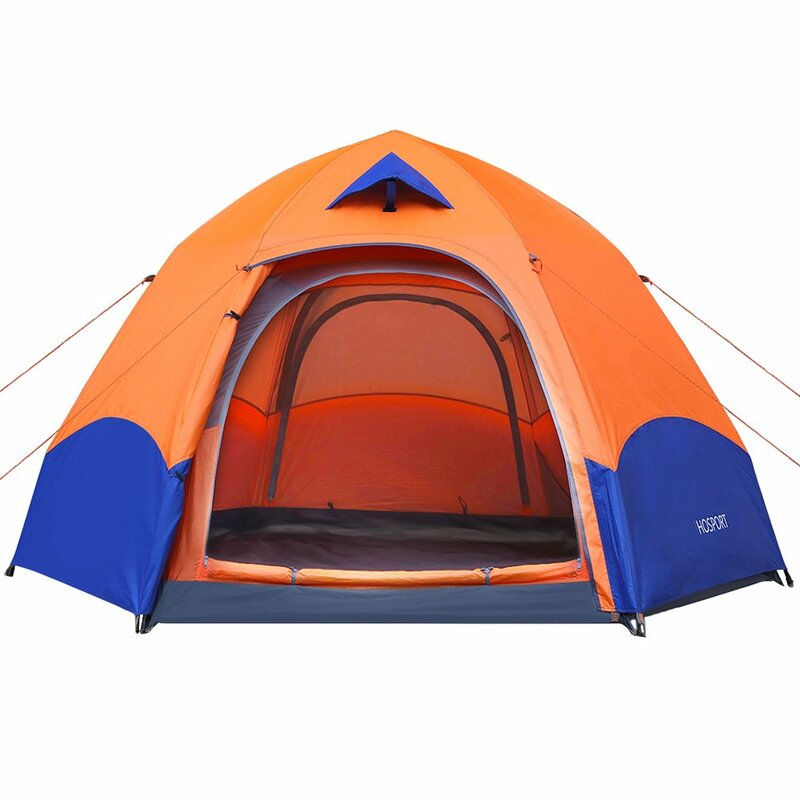 This tent has the nano-flex technology frame, anti-fungus floor, breathable mosquito mesh, polyester fabric construction with polyurethane coating, and heat-seamed thermoplastic coating. If you do not want to splurge but you want a tent that delivers decent quality, this is one option that you should include on your list. It is not as popular as the four others mentioned above, so I understand if many of you may have hesitations in having it chosen. The best thing about the tent is the instant set up. You do not need to deal with a complicated assembly of poles and stakes. It has a single pole construction that allows it to immediately pop up once it is unfolded. In just less than 60 seconds and with three steps, the tent will be ready. As it is for four people, the tent comes with two doors for ease of entry and exit. The interior is also spacious to have room to move. The construction of the tent is not the best, although the manufacturer states some technologies that allow it to withstand external elements. For instance, it has a tub-like floor and covered seams to keep water out. The fabric is also treated to provide UV protection. This affordable tent is ready to be used in just about a minute. It is spacious and comes with two doors. The floor has a tub-like construction and there are also welded seams. Cost: For most people, they will most likely decide on the basis of price. Do not be tempted to choose one product only because it is cheap. Often, the price will be indicative of quality. If your budget is $$$, you are already good as you can find lots of excellent options at such a price range. 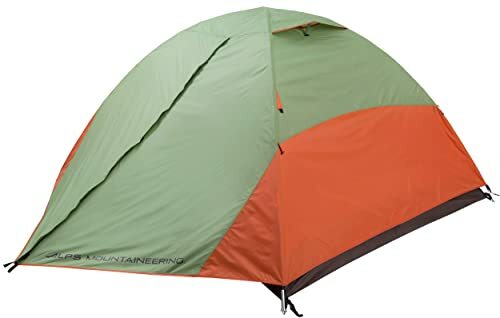 Weight: As with other tents, it is always best to choose one that is lightweight, especially if you will be doing a hike on the way to the campsite. Despite the minimal weight of the tent, see to it that the structural integrity is not compromised. Ease of Use: It is also important that you pay attention to the assembly and take down of the tent. As much as possible, this should be done within just a minute and without the need of a helping hand. The tent should also come with comprehensive instructions from the manufacturer. Weather Protection: When you are camping outdoors, the weather can be uncertain. It will be good to pick a tent that could keep up with this uncertainty. Therefore, it is important that it is waterproof. The seams should also be covered. A tent with a tub-style floor will also be great to avoid water penetration. There are also some tents with a special coating for UV protection which will also have an impact on the longevity. 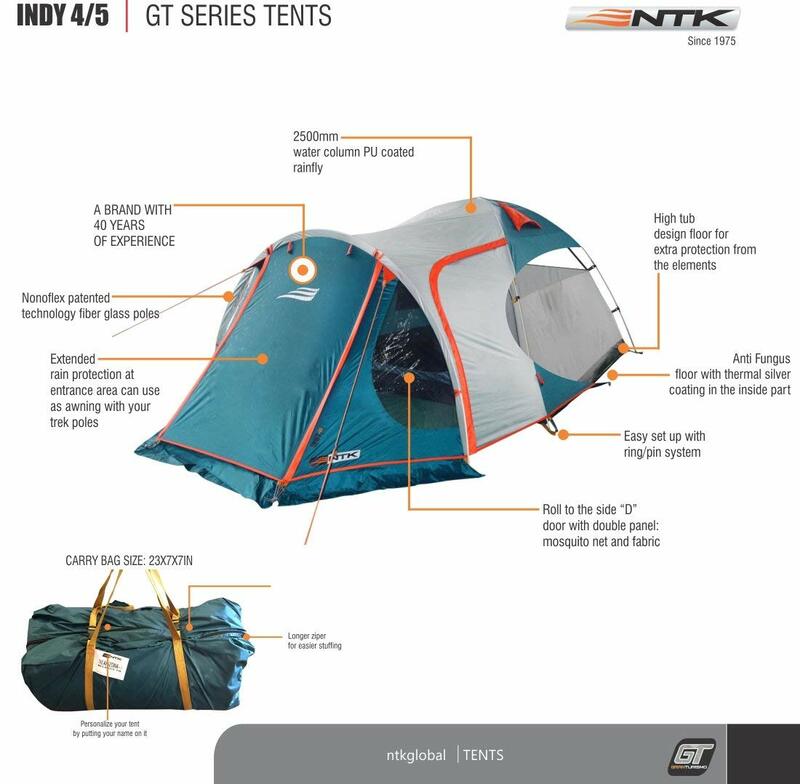 Durability: Pay attention to the materials that are used in the construction of the tent. The fabric should be thick enough to withstand years of use. The poles should also be durable, as well as the stakes. You also have to make sure that the zipper is well-constructed. In the case of most tents, it is the zipper that gets broken easily. Comfort: The tent should make camping comfortable, even when you do not have a fully-equipped bedroom. With this, one of the most important is ventilation. A lot of tents have multiple mesh windows that will encourage proper air circulation. Some are thick enough so that the heat of the sun won’t penetrate. Doors: If the tent is going to be used by four people, or even by just two people, it will be good to choose one that comes with at least two doors. This will make it easier to enter and exit. You can also leave the door open for ventilation, provided that you are in a place with no mosquitoes or bags. Height: The height of the tent is important to make sure that you can stand easily when inside. If it is too short, you will have a hard time moving since you always have to arch your back. The right tent will do a lot to provide you with a good experience when camping. Therefore, do not choose just any product or decide based solely on the price of the product. Take note of the things mentioned above to make the right choice. 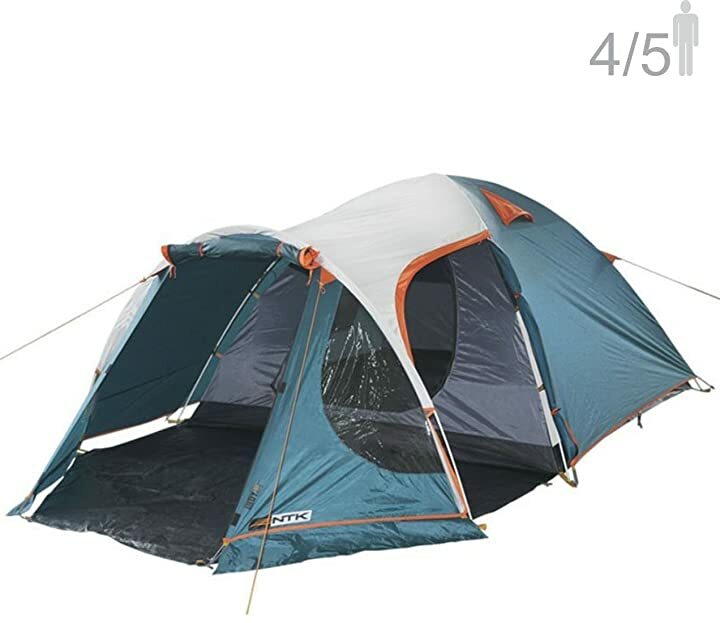 From the five products that we have briefly reviewed, if we have to pick just one, it would be the ALPS Mountaineering Taurus 4-person Tent. More than being easy to assemble and take down, it ensures your highest level of comfort when you are camping.